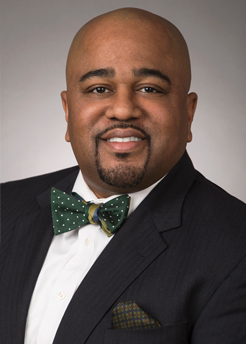 Home › Professionals › Earl Adams Jr.
Earl Adams, Jr. is a partner and co-chair of the firm's Regulatory, Compliance and Government service group. Capitalizing on nearly 15 years of experience in both the private sector and government, Earl understands the intricacies of government and works with regulators and legislators to advance client goals and to protect their interests. He helps clients navigate complex government regulatory and administrative legal issues and regularly represents them before all branches of state and local government, including some federal agencies. His practice focuses on four distinct areas: regulatory approvals; enforcement actions; compliance; and advocacy before both the executive and legislative branches. Prior to joining Saul Ewing Arnstein & Lehr, Earl was of counsel with a global law firm and served as Chief of Staff to Maryland's Lieutenant Governor. In that government role, he led a team of professionals in advancing administration priorities with the Maryland General Assembly, local governments and federal agencies. "P-3 Passed - Now What? Saul Ewing Further Strengthens Washington, D.C. and Maryland Litigation and Public Law Practices with the Addition of Earl Adams, Jr.
2011 LEADERship Class of the Greater Baltimore Committee.